Using essential gardening tools is important to me, because I'm a TOTAL advocate of Grow Biointensive (the method) gardening and that's what I practice in my garden. If you want to grow 4 to 6 times more food in the same space as chemical gardening or even conventional organic gardening, then Grow Biointensive is a method that is something you should learn and practice. The list below of essential vegetable gardening tools is a part of this method. Once you become proficient with the method then you’ll add or change your own essential tools. 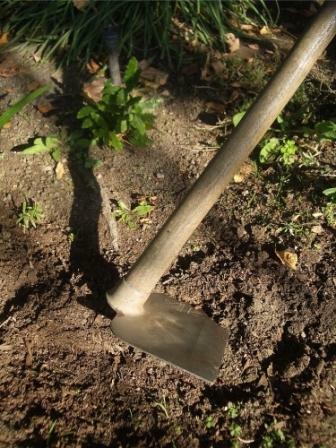 Garden Spade is a shovel used to dig or loosen soil. It has a flat blade with a sharp edge. 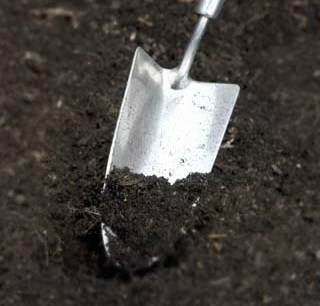 This is an essential tool for double-digging your food growing beds. Garden Fork is a gardening tool with a handle and strong tines. This tool is used for loosening the second layer of double-digging. It can also be used to aerate the top layer of your beds during the growing season before subsequent crops, to rake out stones and weeds and break up clods. Historically garden forks were made of wood, but the majority are now made of carbon steel or stainless steel. Garden Bow Rake is used for evening out your growing beds and to help rake out loose soil clods and organic stubble. When I'm growing a compost crop I cut them at the based with a round point shovel, then the garden rake is then used to gather it. 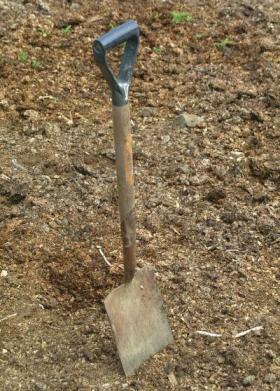 Garden Round Point Shovel is your “must have” universal garden tool. This is my favorite tool. I live on five acres and I’ve planted many California native trees and fruit trees throughout my property. I planted them all using this tool. I also use it to weed by scraping the annual weeds at ground level, and then use the weeds as compost or mulch in-place. 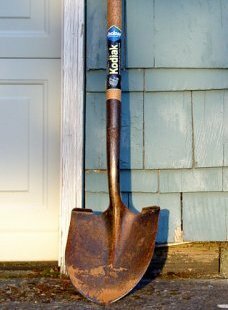 Garden Hoe is used to soften and break up the top 4 inches of your garden bed. Garden Trowel is used for transplanting my seedlings, and I often use it for weeding my garden beds to help pull out the tough weeds.